There are a lot of different ways to use the software. One of the biggest issues I see is that companies choose a version of the software that doesn't make sense for their situation. For example, if you decide to put it on your server and you're a small company with only one person needing access, you're going to incur a lot of cost and headache - it might be better to go with the online version. Once you've narrowed down how you'll use the software, you also need to pick which version you want. For example, you could use QuickBooks Pro, Premier, or Enterprise. All of them come with different features and cost points. Again, picking the wrong options during setup create some of the biggest QuickBooks Problems down the road so choose wisely my friend. Don't get me wrong, I love software automation but if you have your sync features set up incorrectly, you're going to have a hairball on your hands. 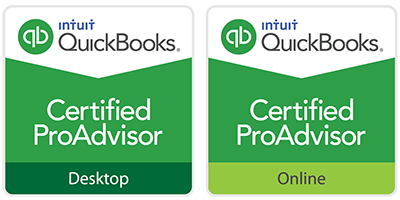 I love how QuickBooks syncs with so many other platforms now including your bank, your CRM, and more. 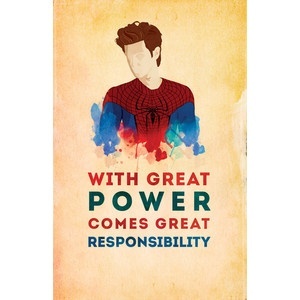 It's really convenient, but with great automation comes great responsibility. Sorry Spiderman fans, I had to do it. A lot of people set up their sync and let it fire, never to reconcile and review the data again. Their faith in the world of technology is often their downfall as transactions get imported twice, old files get written over, and more. Again, I love the sync option, but it must be set up correctly and someone needs to review it. 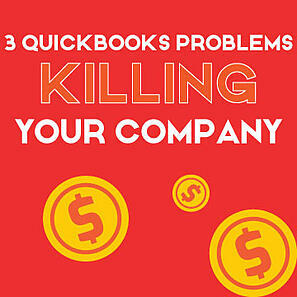 If your business has inventory, QuickBooks could end up being the bane of your existence. Unless your inventory is extremely simple, you'll need to upgrade to QuickBooks Advanced Inventory. This platform has come a long way in terms of tracking the movement of your product, using bin locations, and costing. 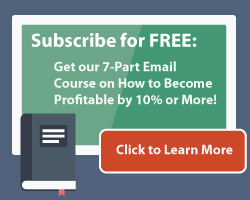 To get this option, you'll end up buying the Platinum version of QuickBooks Enterprise. It's fancy stuff, but it's not cheap. If you're running into any of these problems, we hear and feel your pain. Let us know how we can help out. We've rescued many a business owner from their QuickBooks problems and continue to do so on a daily basis. Here's to you and your ever-growing business.